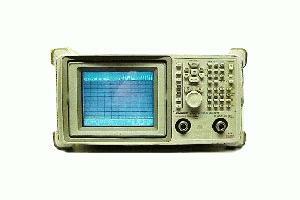 The Advantest U4342 Portable Spectrum Analyzer unit has a built-in tracking generator covering 100kHz to 2.2GHz. The U4342 has a 6-inch TFT Color Display and two PCMIA Memory Card slots. The U4342 analyzer has a built-in quasi-peak detector and EMC filters making it well suited for EMI measurements.